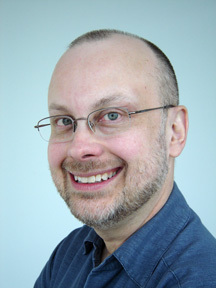 Just stumbled on the fact that one of my stories is online for free over at the Baen website: "The Right's Tough" by Robert J. Sawyer. This was commissioned for the Libertarian anthology Visions of Liberty, a collection devoted to the notion of throwing off the yoke of government. I think the best thing about my story, to be honest, is the title (a pun on The Right Stuff, of course). And, at the time I wrote the story, I thought the idea of a reputation-based society was a good and clever one (and, well, it still is). I finished this story in 2001, ironically, on US income-tax day -- April 15. The book was to have been published in 2002, but then the September 11 attacks occurred -- and suddenly having no government didn't seem quite so palatable an idea. The anthology was held off until July 2004, and in the interim my friend Cory Doctorow published a very good novel, Down and Out in the Magic Kingdom, that explored the same notion. Ah, well. Close only counts in horseshoes! As for actual influences: Kim Stanley Robinson's "Remaking History," one of my favorite talking-heads SF stories. "The Right's Tough," copyright 2004 by Robert J. Sawyer. 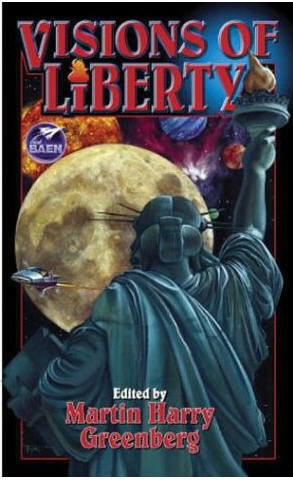 First published in Visions of Liberty, edited by Mark Tier and Martin H. Greenberg, DAW Books, New York, July 2004. Full text here -- and more of my short stories on line are here. talking heads is that as in the band Talking Heads? If so great choice and in my top ten for essential music (still in progress) The Buzzcocks and The Stranglers (awsome band) are right in there as well. If I'm on a rabbit trail, sorry. Hee hee hee. No, by a "talking heads" story, I just mean one in which there's very little action, and the characters simply sit around talking about what the author hopes are interesting ideas. My novel Calculating God is an example of a talking-heads story. Thanks for clearing that up. In my own work, my chracters talk too much, but there's also lots of action. I hope. I learn something everytime I come to your blog. I subscibed to your forum btw haven't posted yet. I'm just about done with reading Spin. Awsome. Will read Rollback when it's out in MM paperback. Don't like ruining hard covers. That's all from me...for now.